With peak wind gusts of nearly 160 miles per hour and up to forty inches of rainfall, Hurricane Matthew left behind a serious problem beyond the devastation to homes, businesses, and crops. If an estimated one thousand casualties in Haiti wasn’t bad enough, a breakout of cholera and dysentery is likely over the next few months. Underfunded government-run hospitals and limited access to 21st-century medicine amounts to a potential health crisis. Thankfully, Mark and Kathy Fulton, Global Strategy missionaries to Haiti, bring with them decades of experience in medical missions. But they’ve already had to deplete their emergency resources in response to the surge of needs since Hurricane Matthew struck. They need your help. 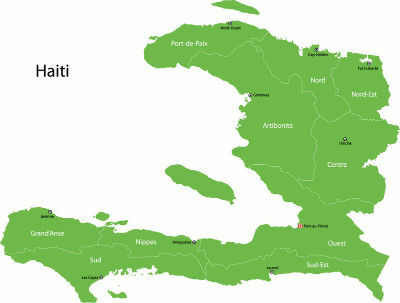 Southern Haiti, home to approximately thirty-five Church of God congregations, was hardest hit. Crops were damaged there, and some believers lost all material possessions. Emergency relief, including rice, beans, and oil were purchased and are being delivered by the Fultons this week to local congregations. Tylenol, ibuprofen, clothing, and thousands of packets of hygiene supplies are being shipped to areas of greatest need first, such as the devastated community of Les Cayes. Standing water and mud deposits are a sign of the mosquito-borne illnesses and GI-tract diseases to come. History indicates that medicine costs in Haiti increase up to 30 percent following disasters. It is necessary that we are prepared to respond swiftly to deliver not only physical healing, but spiritual healing, as well. Thank you for your prayerful and financial support. Please consider a generous donation to the Disaster Relief Fund today. Donate online at www.JesusIsTheSubject.org/disaster-relief/. Donations can also be mailed to Church of God Ministries, PO Box 2420, Anderson, IN 46018; please note that your gift is for Disaster Relief, Project # 45.04502. This entry was posted in All Church of God, Disaster Relief, Global Strategy and tagged cholera, Disaster Relief, disease, Haiti, Hurricane Matthew, Mark and Kathy Fulton, medical, medicine, missions, storm. Bookmark the permalink.